Since the inception of the Rhythm Lords, my aim has always been, to play opening slots for bigger names. It’s the most practical way for a band to build an audience. I was searching for audiences who had never seen us before so I started booking opening slots with bands like, Duke Tumatoe (Madam Wong’s), Cash McCall (Al’s Bar), Big Sandy & The Flyrite Trio and Royal Crown Revue (Alligator Lounge), Smokin’ Joe Kubrik (Heritage Brewery), Debbie Davis (Palomino), Jack Mack and the Heartattack (Madam Wong’s), Candy Cane (Al’s Bar), James Harman (Heritage Brewery), Mighty Flyers (Bogart’s) and William Clark (Golden Sails) to name a few. This was an exciting time for us. Kip, Steph and I were in the planning stages of our first full-length CD release, “Happy Hour” (1994). I had a few songs that I had written and we had some covers that we liked. So as soon as Eric joined the band, we hit the ground running. The booking landscape was very fertile for roots bands in the 1990s. Money was fairly good and there were many opportunities to play for large crowds. We began to play local festivals, which got us over to Europe. I think people are surprised of the power and energy that we deliver night after night. Our live shows were tight and people were taking notice. The reviews and radio airplay really picked up too. With Eric now helping me with the booking, we opened for Social Distortion twice and did a couple of shows with Mike Ness (solo). 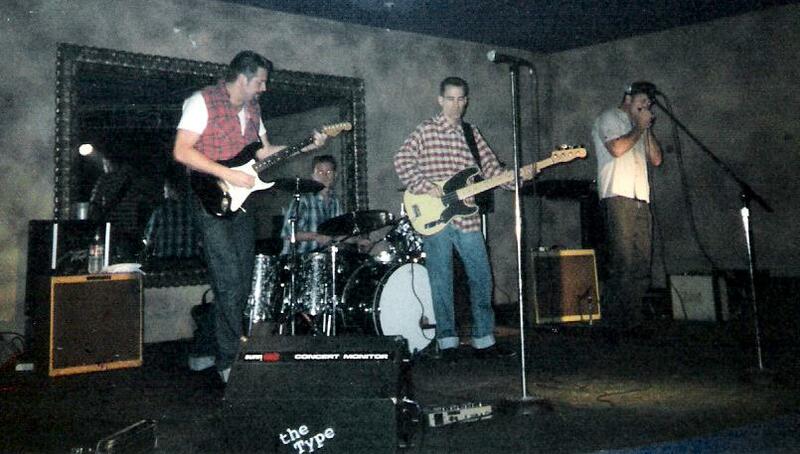 We opened for The Cadillac Tramps, James Cotton, Junior Wells, Dave Alvin, Hook Herrera as well as the Paladins. 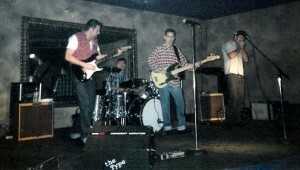 We opened for the Blasters (without Dave) several times and had local legends like Juke Logan and Top Jimmy sitting in on occasion. 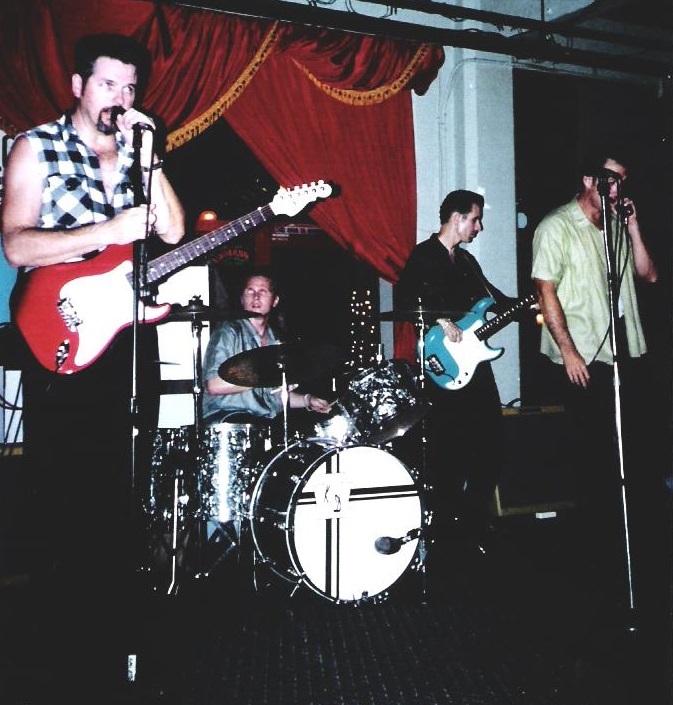 Besides our regular bookings at the Blues Café, Vince Jordan started booking us for a Sunday series called Hot Rods and Harleys that lasted a few years (off and on). These were huge events that broke a few attendance records according to the Blue Café management. 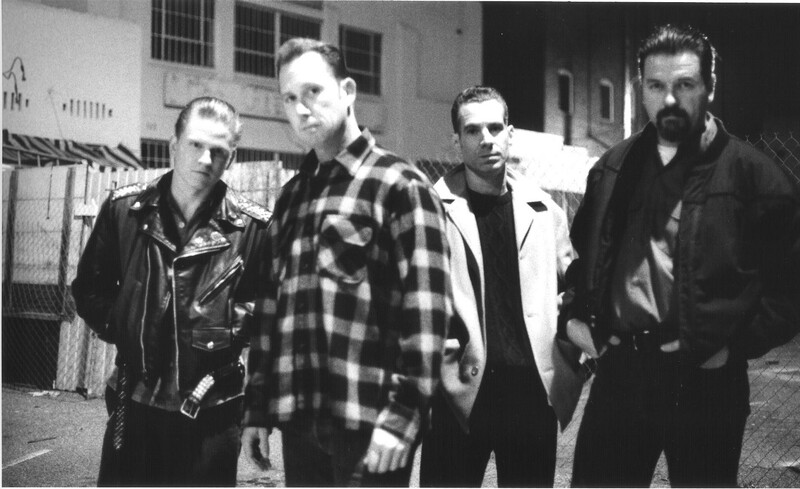 We played a Telethon on CBS channel 9 and in 1996 we released our second full length CD, “Lone Wolf”. We continued to tour through the Northwest and Canada. I loved being on the road playing to a different audience in a different town every night. But after a while I began to feel stifled. 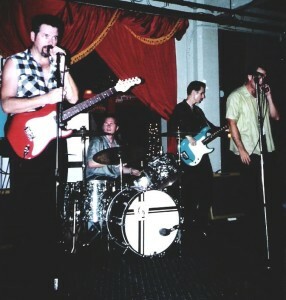 The Rhythm Lords had started out as a vehicle for me to write my music, which was more rock influenced. It became difficult for me to continue as we were. I needed to stretch out more. I had written a bunch of songs that didn’t fit the style that we had with Kip and Eric, and I needed to explore different sounds and production values. In 1998 I pulled the trigger and recorded my first solo record, “Full Circle”. It was a great experience and I dove head first into this direction. Fifteen years later after releasing three more solo CDs, Eric called me and asked how I felt about playing some gigs. With a renewed appreciation and better understanding of songwriting I said yes, but I wanted to write new material and not just come out and do some lame rehash of what we were doing before. I feel that now, after 25 years of songwriting in various styles, that I can probably do a better job writing for the Rhythm Lords and so in 2013 we started rehearsing and writing some new songs. I hope that we can eventually record a new album and do some touring, but everyone is busy doing other projects. Kip has been playing drums off and on for James Intveld during those fifteen years. Eric continues to play with everyone from Social Distortion to Jr. Watson as well as the 44ers. Steph and I have continued to work together since the beginning of the Rhythm Lords. At the time of this writing I cannot confirm anything solid from the Rhythm Lords in the future. It’s my hope that we’ll have some time to write a few songs and record at least one more album together. It’s been a blast writing these stories for you. I hope you have enjoyed it as much as I have.